Jared Haibon met his celebrity lookalike Ashton Kutcher during an outing on Sunday. The 29-year-old shared a photo with Kutcher on Instagram after years of fans commenting on his resemblance to the 40-year-old actor. 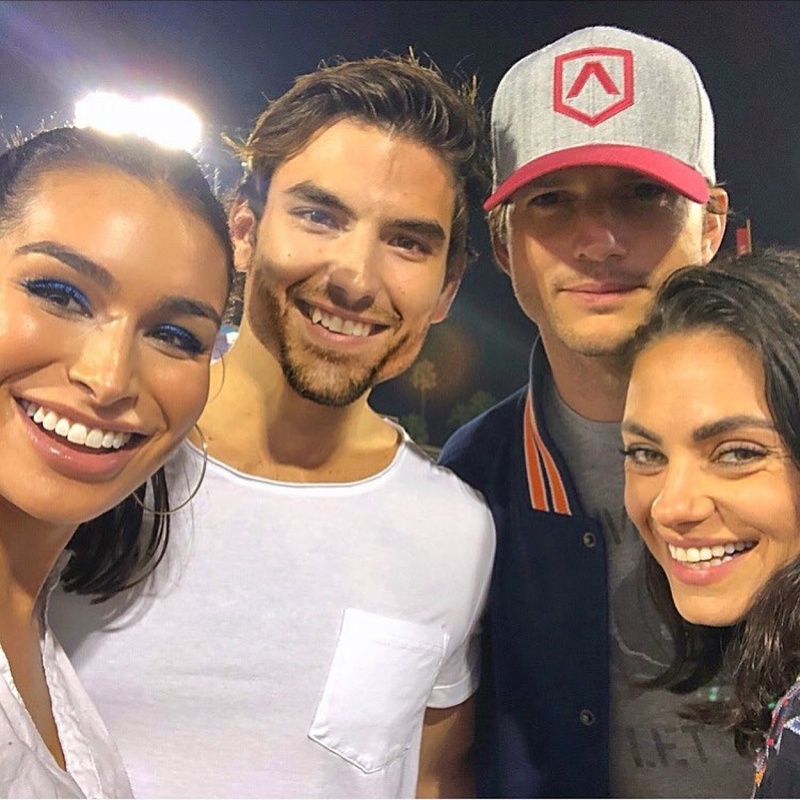 Haibon and his fiancee, Ashley Iaconetti, spent time with Kutcher and his wife, Mila Kunis, at the Ping Pong 4 Purpose charity event in Los Angeles. Haibon explained his connection to Kutcher in the caption. "In 2015, Ashton Kutcher tweeted a side by side photo of our faces. In 2017, he said he got into watching 'The Bachelor' because a guy named Jared looked like him. In 2018, we met and bonded over marrying our best friends," he wrote. Kutcher had posted a picture in August 2015 of himself standing next to a freezeframe of Haibon. "I'm trying to figure out why mila is making me take this picture @ashleyiaco who are you? And who is this guy?" he tweeted at the time. "The Ranch" star later said in an interview with "Good Morning America" that watching "The Bachelor" and "The Bachelorette" with Kunis was his "greatest guilty pleasure of all time." "This is our thing," he said. "It's unbelievable, this show. It's the greatest social experiment of all time." Haibon and Iaconetti got engaged in June on the set of "Bachelor in Paradise" Season 5 after previously appearing on the show's second and third seasons.